Higher education facilities in the Pikes Peak region provide an abundance of educational opportunities — over 200 programs embrace arts, science, business, engineering, medicine and law; 60 fields of study lead to postgraduate degrees. 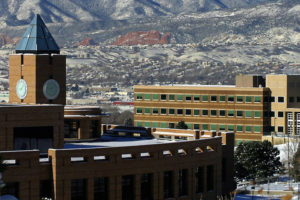 The emphasis on higher education evolves from the many high tech businesses that have located here and our highly educated residents: over twenty-five percent of the areas residents have a college degree, ranking Colorado Springs among the top cities in the U.S. in number of school years completed. 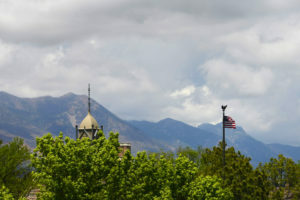 The colleges and universities of Colorado Springs not only serve the “traditional” post-high school student, but the older student seeking new skill and career opportunities. The University of Colorado at Colorado Springs is dedicated to inspiring students to make learning a lifetime pursuit. UCCS is not a traditional university because it offers programs to a diverse blend of students from the 18-year old college freshmen to senior citizens who never want to stop learning. UCCS offers 21 undergraduate degrees, 14 Master’s Degrees and a Ph.D in Electrical Engineering. All disciplines are offered through the College of Business, College of Letters, Arts and Sciences, College of Engineering and Applied Science, the Graduate School, the School of Education and the Graduate School of Public Affairs. Ninety-five percent of the more than 5,700 students at UCCS are Colorado residents. The University is proud of its 15:1 student to faculty ratio, the lowest of any state-supported institution in Colorado, and it boasts many faculty members who are nationally acclaimed in their respective fields. About 12 percent of the students are minority and 55 percent of the students are women. A facilities master plan calls for a new residence hall (completed), a new classroom building and increased library space. 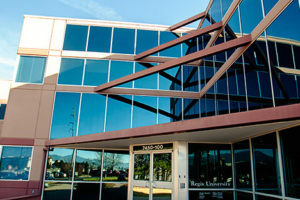 UCCS is one of the four campuses in the University of Colorado System. Many students are already employed and are pursuing an education to further their careers. Pikes Peak Community College, established in 1968, is a comprehensive two-year college that serves the educational and business training needs of residents of El Paso, Teller and Elbert Counties. PPCC enrolls approximately 18,000 students each year and is the largest post secondary institution in the Pikes Peak Region with 11 locations in the College service area. PPCC offers associate degrees and certificates in nearly 90 educational program areas providing liberal arts programs designed for transfer to four-year colleges and universities; occupational programs that prepare students to obtain employment in technical and vocational fields; developmental education to help students build the skills necessary to pursue educational objectives; and a broad range of courses for personal and avocational growth. Accredited by the North Central Association (NCA) of Colleges and Schools, PPCC just received a 10-year Reaffirmation of Accreditation from NCA which is the maximum number of years any institution can receive. Founded in 1874, Colorado College is the Grand Dame of higher education in the Rocky Mountain region. Having been in continuous operation longer than any other institution, this private liberal arts college contributes to the educational and cultural needs of the region with an outstanding academic program and a host of cultural events. Independent and coeducational with 1,900 students from 49 states and 14 foreign countries, the College boasts a 14:1 student to faculty ratio. Colorado College, with an emphasis on teaching is a highly regarded liberal arts school. Through the years, the College has produced seven Rhodes Scholars and more winners of Watson Fellowships than any other college in the country. The College offers a unique academic calendar, where the academic year is divided into eight 3 1/2 week sessions. The college’s 80-acre lovely campus and beautiful buildings are located in a residential section just north of downtown. Regis University The parent campus of Regis is in Denver. Founded in 1877, the college has maintained a high tradition of liberal arts academic excellence. The Colorado Springs campuses cater to the working adult — someone who’s been out of school for awhile — who now wants to return to school for variety of reasons such as advancement, career change and self-fulfillment. Classes are generally arrange in the evenings and on Saturdays and are based on adult learning theory which recognizes that students have valuable experience and insight to contribute to the classroom. A variety of learning options are available to students: classroom based, independent learning or televised study. Regis University offers bachelor degree programs in Business Administration, Accounting, Computer Information Systems, Computer Science, Liberal Arts, Communications, Humanities, Psychology, Social Science and Nursing. Masters’ degrees are offered in Business Administration (MBA), Liberal Studies (MALS) and Non-Profit Management (MNM). Teacher Certifications for Colorado and Wyoming may also be obtained through Regis in conjunction with either the bachelor or master’s degrees. 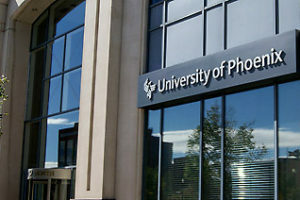 A relative newcomer to the Pikes Peak region, the University of Phoenix has been offering classes in Colorado Springs for four years.The school offers bachelor’s and master’s degree programs in business and education. The university also offers the master’s degree program in nursing administration. 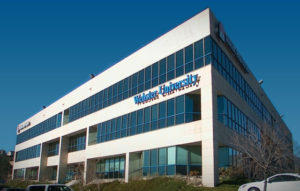 Webster is an independent, coeducational university offering graduate degrees in computer resources management, management procurement and acquisition, space systems management, and materials management. 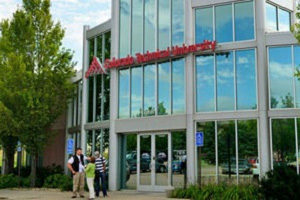 The main campus is in St. Louis with graduate centers offering master’s degrees in 34 locations across the nation and the world. Colorado Technical College is a fully accredited, private four-year institution providing training to students looking for careers or advancement in Colorado Springs’ high tech job market. 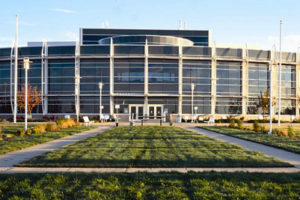 The college offers Associate and Bachelor of Science degrees in Computer Science and Electronics, Biomedical, and Solar Engineering. Postgraduate programs are offered in computer science and management. Colorado Tech is also affiliated with the Software Engineering Institute of Carnegie Mellon University in Pittsburgh offering a software engineering program.